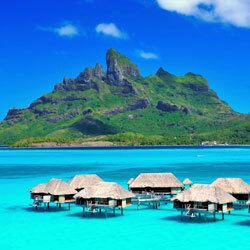 A 14 days cruise from Tahiti to Bora Bora : the most beautiful spots of French Piolynesia. 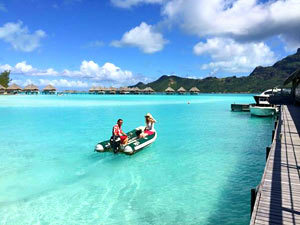 14 days exploring the Society islands. 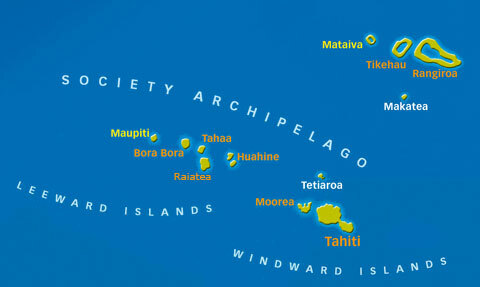 This cruise from Tahiti takes you to the islands of the Society. To begin with the discovery of Moorea the sweet, the sister island of Tahiti, with its mountains that fall at the peak in the lagoon. 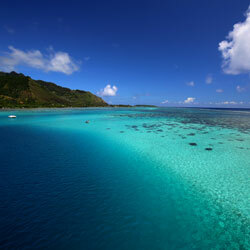 The cruise continues with Huahine, the island of the woman, and its anchorages of dream. 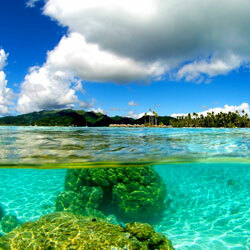 Raiatea, the sacred island, gives you the opportunity to discover the famous Polynesian valleys, Tahaa and its majestic coral garden before heading to Bora Bora and the most beautiful lagoon in the world. 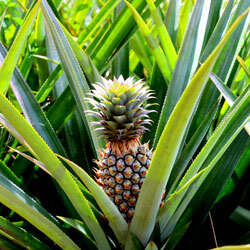 Hike to the belvedere, visit the agricultural high school and then descend by way of the archers through the pineapple fields Rotui. 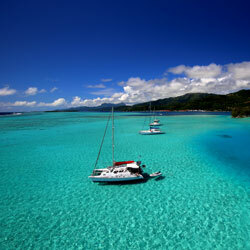 In the evening, departure for Huahine, night sailing. A beautiful day of sailing down the river to join the Lee winds and Huahine to begin. Learning sailing and sailing in the program, and who knows may be a superb tuna or Mahi Mahi freshly sinned at noon. 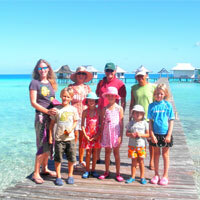 Visit of Huahine in 4x4 with a local guide. 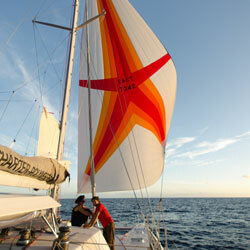 Then we will sail to the beautiful beach of Hana Iti where we will have a BBQ on the beach at night. We join the bay of Avea in the South of Huahine where you can practice Polynesian art and discover the Polynesian gastronomy during a Maa Tahiti. 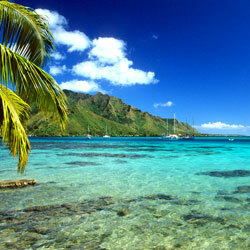 Navigation in the lagoon of Huahine, swimming in Hana Iti, Barbecue on the beach and workshop of Polynesian art *. Visit of Fare. Departure in the morning to the nearby island of Raiatea, crossing by sailing under the spinnaker, we rejoin the river faaroa which you can go up in kayak. In the evening, wild anchorage on the edge of barrier reef. Small navigation in the lagoon of Raiatea to join the motu artificial. 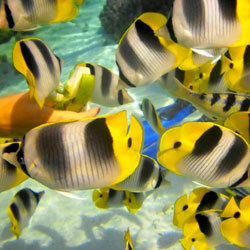 Visit Uturoa and kayak and snorkeling with lagoon sharks. Departure in the morning for the walk of the 3 waterfalls with a local guide. Cabotage in the lagoon to join Tahaa and snorkeling near the pass. 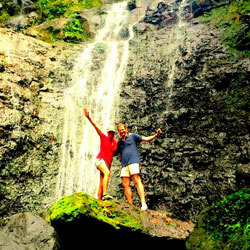 Favorite moment: swimming at the third waterfall. 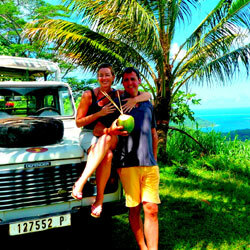 Excursion in 4x4 with an ethno-botanist to go to the discovery of Tahaa, its vanilleraies and the interior of the island. 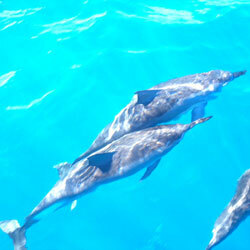 At noon, we go to the garden of Ccorail where you can make a snorkeling drift in this superb spot. 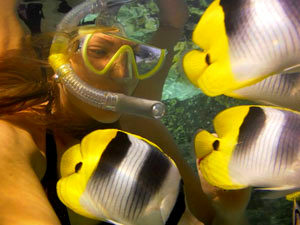 Snorkeling at Tahaa Coral Garden, one of the most beautiful in Polynesia. 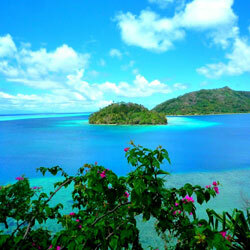 Discover the motus of the North of Tahaa, a true Garden of Eden. Departure in the morning for Bora Bora sailing, anchorage west of the lagoon of Bora Bora. 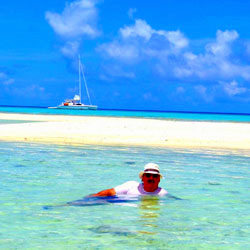 Snorkeling with stingrays and eagle rays (unpublished). 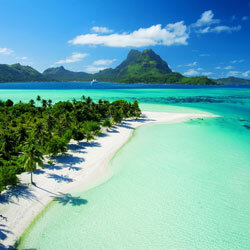 This cruise from Tahiti to Bora Bora is available from € 3,780 per person based on a reservation for 2 adults.